Curious what Speaker Sisterhood is all about? 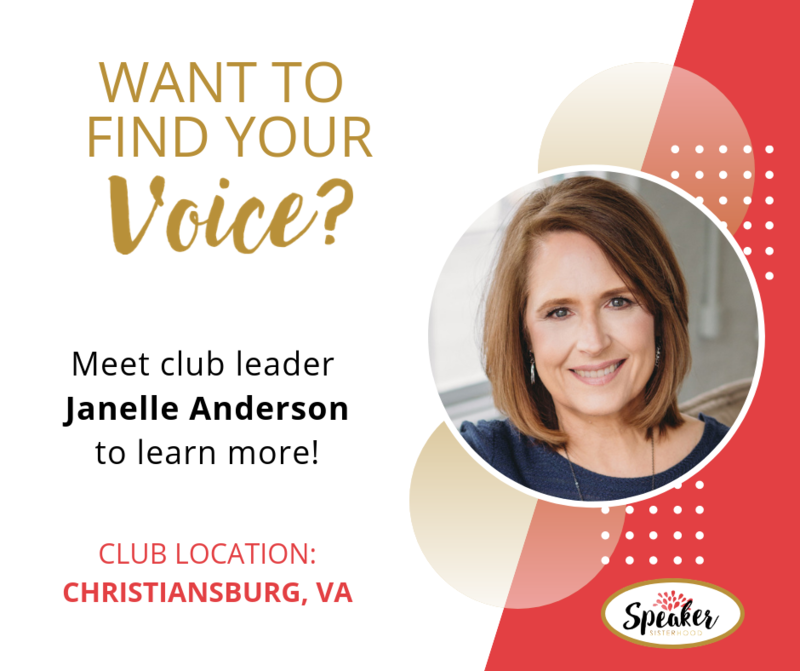 Come join us for the launch of our Christiansburg, VA club! 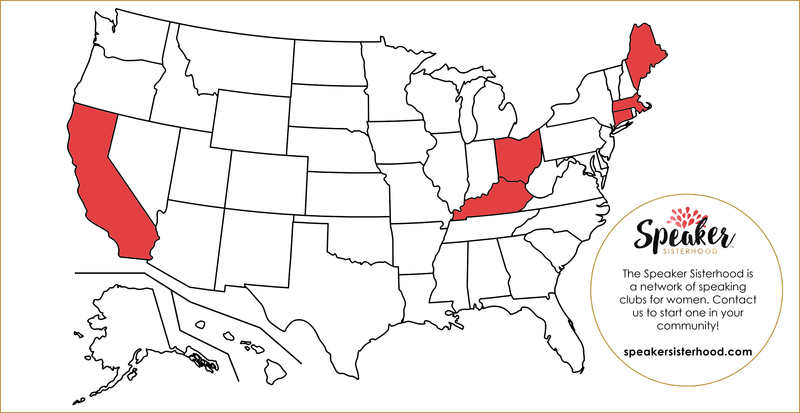 This club will meet twice per month on the 1st and 3rd Tuesdays from 6:00p – 8:00p. The launch party is taking place Tuesday, May 7th from 6-8pm. Plan to stay for the entire two hours to see what a meeting is like and learn more about membership! To RSVP for our launch party, simply send a note to the club leader using the contact form below. 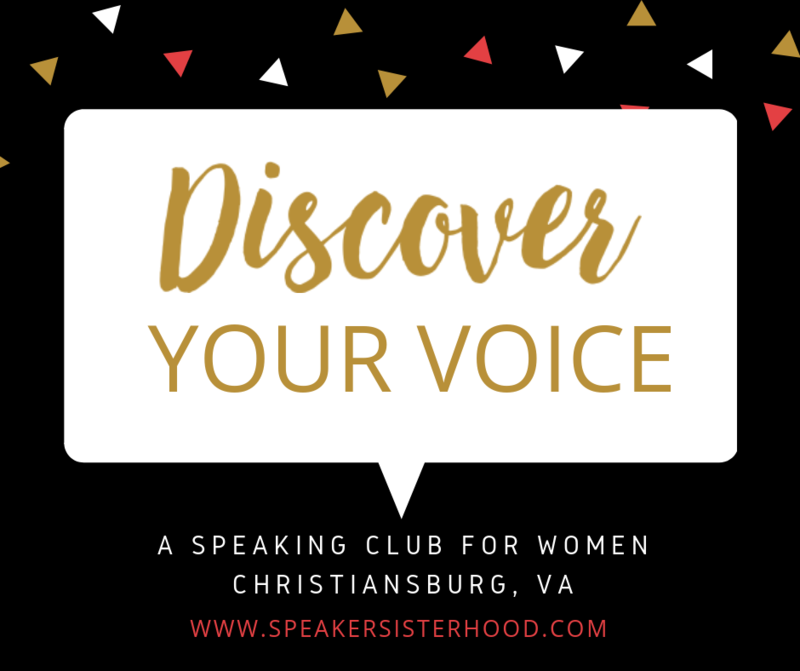 Welcome to the Speaker Sisterhood Club of the NRV! If you’re looking for a place to feel at home in your own skin where you can find and create confidence in your unique voice and message, then you’ve come to the right place! I landed here because I was on that same journey and found Speaker Sisterhood to be the perfect space to try new things in a safe and comfortable environment. As a Club Leader, I want to create a space where women will feel accepted, welcomed and celebrated just as they are and where they can grow tremendously as they discover the beauty and power of their unique voice. Come and be part of something amazing! Janelle Anderson , PCC, is a Professional Certified Coach, a former Elementary/Middle School Teacher, business owner and manager. She specializes in personal development and self-discovery coaching for women. Janelle’s passion is to help women discover who they truly are, so they can live a life of purpose and meaning, authentically expressing their true selves through all they do with confidence and self-love. Janelle creates a calming and peaceful environment that allows women to relax and be themselves. Her leadership style integrates compassion, intuitive listening, and deep wisdom, resulting in transformation and tremendous growth for the women who work with her.